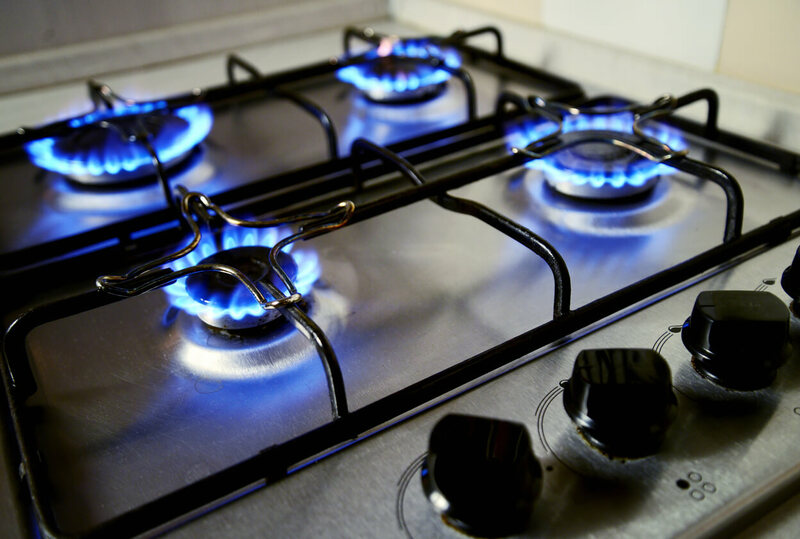 npower is one of the UK’s ‘big six’ energy companies, serving around 5.1 million residential and business accounts with electricity and gas. A key challenge for npower in recent years has been the collection of small amounts of final balance debt. npower’s previous approach to chasing this debt involved either sending a paper letter reminder, or having a call centre operative contact the customer, but this represented two main problems. The first was that 55% of customers chased had already moved home, so the communication went unanswered. The second was that the cost of sending a paper letter or making a call would often outweigh the value of the balance owed. What were npower looking for? A strategy which promoted friendly, fair, non intrusive customer contact. The solution should use mobile focused, intelligent, self serve technology adding convenience for the customer, and reducing the cost to serve. The new workflow should work to replace any reliance on outbound activity from npowers call centre resource. The solution should use the most cost effective communication channel, based on the contact details available, with the ability to switch between communication channels as required. What are the benefits for npower? 19% of customers approached for payment through the new workflow made a payment, compared to 4% with the previous workflow. 82% of payments were for the full amount owed. When compared to the cost of sending a paper letter, notification of overdue payment through SMS was 16%, Email 1%, and automated voice 50%. Receiving a payment through the Esendex platform costs just 30% of the cost of receiving a payment via a call. 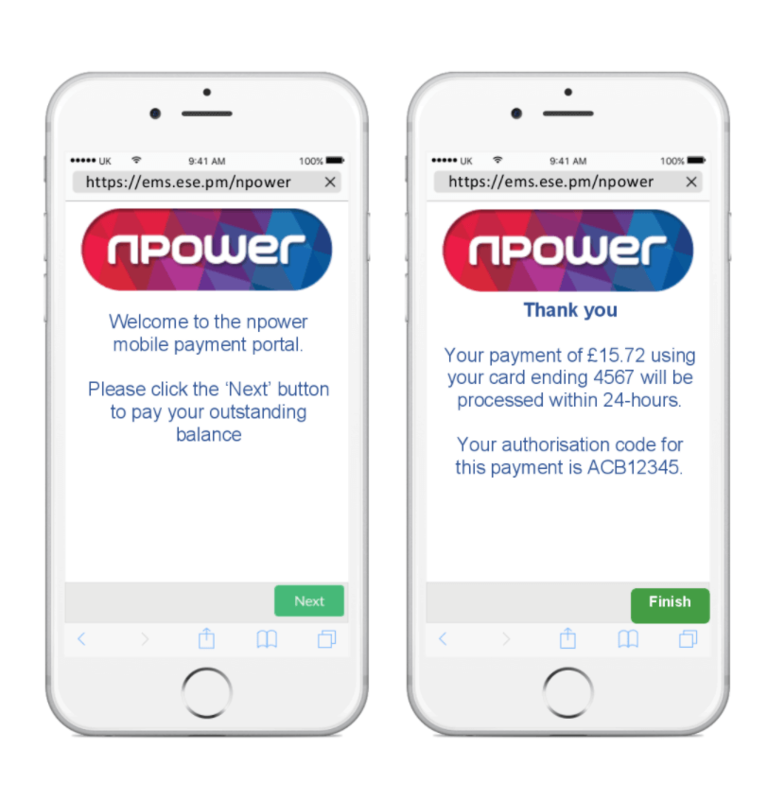 Esendex worked with npower to create a solution which employs a combination of communication channels including SMS, email, outbound voice and Esendex’s bespoke mobile web app, Mobile Journeys. A decision engine determines the best channel and message to send to each customer based on available contact details, amount owed, and reason for leaving. The customer is given several self-serve payment options, including a dedicated mobile payment portal (pictured). If a message sent via SMS doesn't elicit a response, another channel such as email will be automatically deployed. Equally, messages automatically stop once a successful outcome is reached. A detailed set of reports inform npower about payments taken and the status of contacted customers. “Esendex have managed to construct and successfully deliver a cost effective solution that allows significant value to be found in pursuing small debt amounts." "This was an opportunity to utilise a digitally driven strategy removing the need for traditional paper correspondence and potentially lengthy call volumes. The use of an Esendex provided payment platform created a quick and easy way for our customers to pay off their outstanding debts whilst on the go, and the uplift in payments is proving how popular and successful this platform is. Aside from the technical work provided by Esendex I would also like to stress how painless the process has been for us right from design through to delivery”.